Start off your visit on the 10th (Sat): look for gifts at With Sugar and then tour the pleasant surroundings at Four Mile Beach. Get ready for a full day of sightseeing on the 11th (Sun): discover the deep blue sea with a scuba or snorkeling tour. To see other places to visit, reviews, and more tourist information, refer to the Port Douglas trip itinerary builder app . Melbourne to Port Douglas is an approximately 6.5-hour combination of flight and shuttle. You can also drive; or do a combination of bus and train. Expect somewhat warmer weather when traveling from Melbourne in November: highs in Port Douglas hover around 36°C, while lows dip to 26°C. Finish your sightseeing early on the 12th (Mon) so you can travel to Cape Tribulation. Kick off your visit on the 13th (Tue): tour the pleasant surroundings at Myall Beach, delve into the lush surroundings at Daintree Rainforest - Cooper Creek Wilderness, and then get great views at Walu Wugirriga Lookout. Keep things going the next day: stroll through Cape Tribulation Beach, explore and take pictures at Marrdja Botanical Walk, then relax in the rural setting at Cape Trib Farm, and finally admire the sheer force of Alexandra Bay Waterfall. 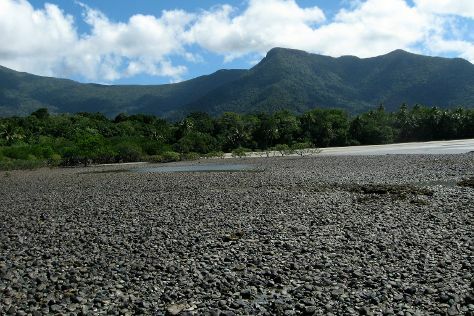 For photos and tourist information, read our Cape Tribulation trip builder . Traveling by combination of car and ferry from Port Douglas to Cape Tribulation takes 2 hours. Alternatively, you can take a bus. In November, plan for daily highs up to 36°C, and evening lows to 26°C. Wrap up your sightseeing on the 14th (Wed) early enough to take a bus to Cairns. Spend the 15th (Thu) among aquatic life with a scuba or snorkeling tour. Spend the 17th (Sat) wandering through the wild on a nature and wildlife tour. Next up on the itinerary: trek along Esplanade Boardwalk, admire the natural beauty at Botanical Gardens, and have fun at Esplanade Lagoon Pool. To see ratings, photos, traveler tips, and other tourist information, use the Cairns vacation maker tool . Traveling by bus from Cape Tribulation to Cairns takes 3.5 hours. Alternatively, you can drive. November in Cairns sees daily highs of 36°C and lows of 26°C at night. Finish up your sightseeing early on the 17th (Sat) so you can travel to Airlie Beach. Start off your visit on the 18th (Sun): see some colorful creatures with a scuba or snorkeling tour. Get ready for a full day of sightseeing on the 19th (Mon): race across the water with a speed boat tour. For maps, more things to do, where to stay, and other tourist information, refer to the Airlie Beach day trip website . You can do a combination of flight and ferry from Cairns to Airlie Beach in 5 hours. Alternatively, you can do a combination of flight and bus; or drive. In November, plan for daily highs up to 33°C, and evening lows to 27°C. Finish up your sightseeing early on the 19th (Mon) so you can travel to Brisbane. Kick off your visit on the 20th (Tue): take in nature's colorful creations at Roma Street Parkland and then let the kids burn off some steam at South Bank Parklands. On the next day, look for all kinds of wild species at Lone Pine Koala Sanctuary and then take some stellar pictures from Mount Coot-tha Lookout. 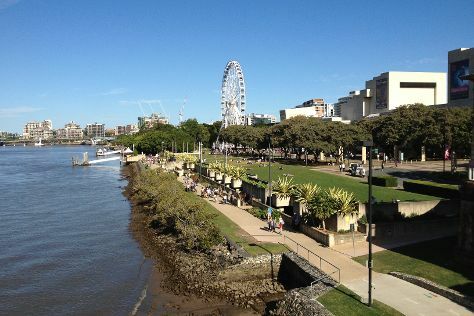 To find where to stay, other places to visit, photos, and other tourist information, go to the Brisbane trip itinerary planning app . Traveling by combination of bus and flight from Airlie Beach to Brisbane takes 5 hours. Alternatively, you can do a combination of ferry and flight; or drive. Traveling from Airlie Beach in November, expect slightly colder with lows of 21°C in Brisbane. Finish up your sightseeing early on the 21st (Wed) so you can travel to Sydney. Sydney is known for nightlife, trails, beaches, parks, and museums. Your plan includes some of its best attractions: see a show at Sydney Opera House, stroll through Bondi Beach, take a stroll through The Rocks, and admire nature's wide array of creatures at Sea Life Sydney Aquarium. 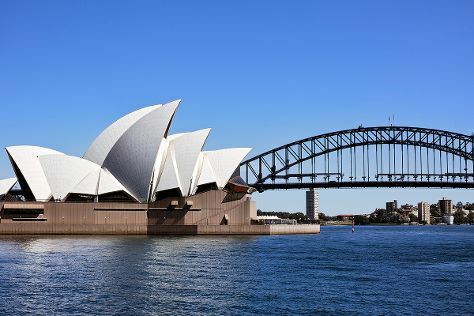 To see maps, more things to do, traveler tips, and more tourist information, go to the Sydney tour itinerary planner . Traveling by flight from Brisbane to Sydney takes 4 hours. Alternatively, you can do a combination of bus and flight; or drive. November in Sydney sees daily highs of 29°C and lows of 19°C at night. Wrap up your sightseeing on the 26th (Mon) early enough to travel back home.